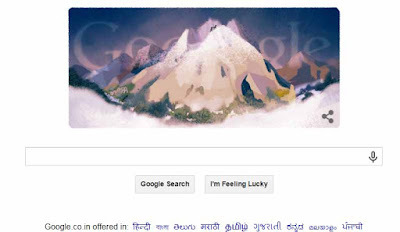 California : World's largest search engine and an American multinational technology company Google who makes the temporary alteration of the logo calls as Google Doodle on it's homepage that is intended to celebrate holidays, events, achievements and most of the famous people, has dedicates the Doodle to mont blanc first ascent. The French mountaineer Jacques Balmat and a physician, Michel Paccard, scaled the 4,807 metres peak on 8th August 1786. Balmat was also given the honorary title of ‘le Mont Blanc’ by King Victor Amadeus III for his feat. 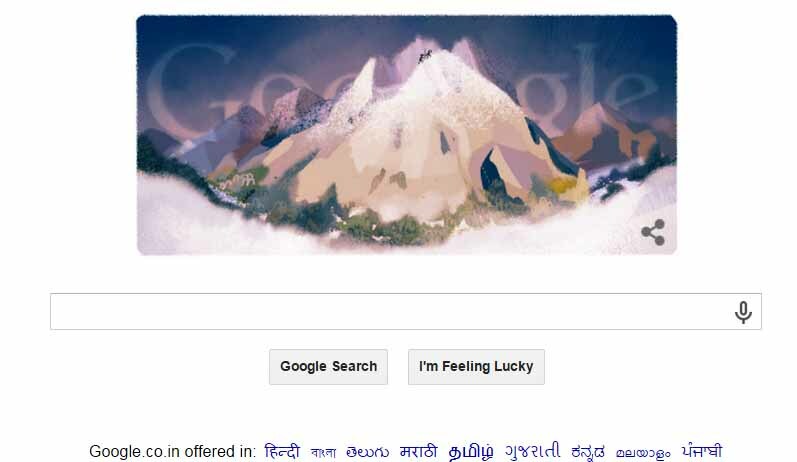 “Today we celebrate Europe’s pioneering spirit, stunning landscapes, and one-of-a-kind landmarks including the incredible Mont Blanc,” said Google on its Doodle blog. Further said that, "Capped by snow and shrouded in mist sits Mont Blanc, the highest point in the Alps. Its summit, forever white, towers 15,000+ feet above Europe’s sea level. Lord Byron called it “the monarch of mountains.” And for centuries, no human had ever reached its peak." "Until 1786. That year, armed only with alpenstocks and measuring equipment (the trek was for scientific purposes), Frenchmen Michel Gabriel Paccard and Jacques Balmat set foot at the top. Now, 229 years later, thousands of hopeful hikers annually descend upon the Alpine towns of Chamonix, Saint-Gervais, and Courmayeur to recreate this exceptional feat, and take in this incredible view." Notable, Last year, on August 8, 2014 Google Doodle celebrated Father’s Day in Taiwan while in 2013 on the same day, it sported a doodle on Mugunghwa Day.